Check out these fine magazines that are dedicated to collecting and operating the larger gauges, or Canadian Railway modeller. O gauge, O scale, S gauge, Standard gauge, G gauge and HO scale are all to be found in these publications. 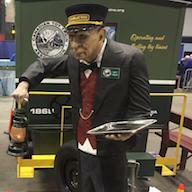 Classic Toy Trains – Is the most popular and widely read mag among O and S gauge collectors and operators. Published 9 times per year. 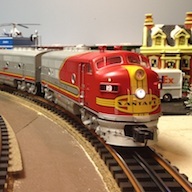 CTT issues include layout features, information about building structures, electrical wiring, enhancing toy train layouts, track plans, repair and maintenance tips, profiles of collectible prewar, postwar and modern trains, and more. Editor’s note – CTTA Club Car releases are advertised in CTT. O Gauge Railroading – a 2-rail & 3-rail journal, is published 7 times per year. This magazine is dedicated to O Scale & O Gauge model railroading and scale model train operations and craftsmanship. Issues include product reviews, layout features, information about building structures, electrical wiring, enhancing toy train layouts, track plans, ‘backshop’ repair and maintenance tips, profiles of collectible prewar, postwar and modern trains, and more. Editor’s note – CTTA Club Car releases are advertised in OGR. CANADIAN RAILWAY MODELLER Magazine (CRM) was created in 1989 by North Kildonan Publications to serve the railway hobbyist interested in modelling all aspects of the Canadian railway scene. It’s available at hobby shops everywhere throughout Canada and at many U.S. locations. Overseas too! 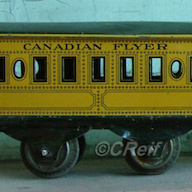 A complete list of hobby shops that carry Canadian Railway Modeller is in every issue. 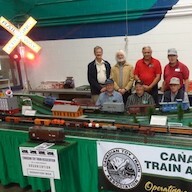 Check out this fine O Scale Resource online magazine. Geared towards modelers who enjoy building and running more ‘scale’ like trains and railroading operations in O gauge. The online and print editions feature construction techniques, kit-bashing, photo galleries and other historical information to help modelers achieve scale and prototypically accurate models and layout features. The magazine is published bimonthly in an easy to use format. There is no fee or registration required to view the magazine. You can also download a copy, if you would like. Back issues are always available. Check out this fine S Scale Resource online magazine. Geared towards modelers who enjoy building and running more ‘scale’ like trains and railroading operations in S gauge. The online and print editions feature construction techniques, kit-bashing, photo galleries and other historical information to help modelers achieve scale and prototypically accurate models and layout features. The magazine is published bimonthly in an easy to use format. There is no fee or registration required to view the magazine. You can also download a copy, if you would like. Back issues are always available.